Realist (verismo) novel of Sicilian life by Giovanni Verga, published in 1881 as I Malavoglia. The book concerns the dangers of economic and social upheaval. It was the first volume of a projected five-novel series that Verga never completed. The author’s objective narrative and extensive use of dialogue to advance the action and reveal character represented a new style in Italian fiction. The action centers on the Malavoglia family, who borrow money from the local usurer against unreceived goods they expect to resell. When the shipment is lost at sea, the family must nonetheless repay the debt. A series of setbacks and losses follow, as the family encounters trouble from every quarter. The house is lost and heroic sacrifices are required of both the men and women until the debt is repaid. 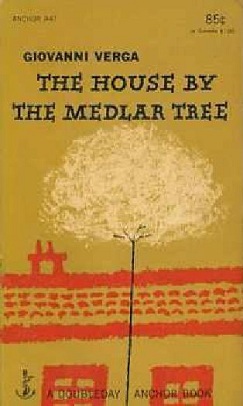 At the novel’s end the family retakes possession of the house by the medlar tree.